Lola SOLAR, a Member of Parliament of the Austrian People’s Party (ÖVP), founded the EUW in 1953. Her idea was to create an international non-governmental organization, whose members – in contrast to the European People’s Party – do not have to be part of the European Union. So the EUW became the organization of Christian democratic, conservative women in Europe. In the last 60 years, the EUW has had three Austrian presidents: Lola Solar, former minister, Marilies Flemming and lastly Ingrid Tichy-Schreder. We all stand up for the idea of Europe and for the ideas of Lola Solar. This is why we want to strengthen the EUW and continue working for it. Our Section is working intensively in various committees and bodies engaged in Austrian women’s policy, and is cooperating internationally. 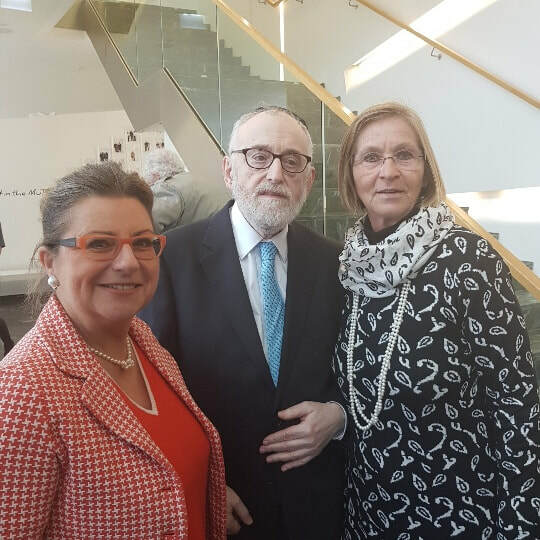 From left to right: General Secretary EUWA Irene Peer-Polzer, Chief Rabbi of Austria, Paul Chaim Eisenberg, First International Vice President of the Commission for Education and Employment President of the Commission for Culture, Education and Employment in Austria, Maria Graff. Judith Weinmann-Stern, head of the society Wien- Tel Aviv, organized a great cultural event with a lot of stars to collect money for bringing Austrian culture to Israel for Holocaust victims in February 2018. “Walzer, Csardas and Klezmer Melodien” on 26th of November 2017 was a big success and great fun. Most applause was given to Chief Rabbi Paul Chaim Eisenberg for his cultural contribution. 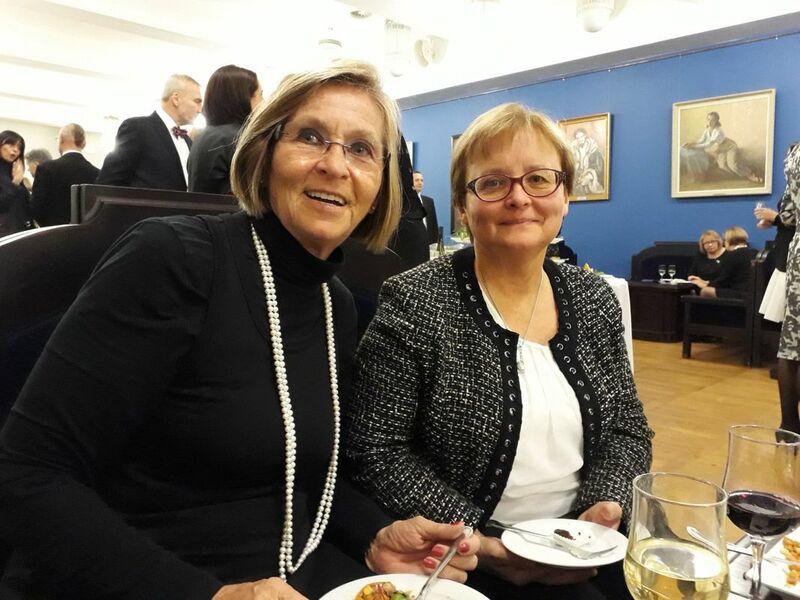 Celebration in Tallinn under the presence of the President of the Commission for Education and Employment in Estonia Kaie Josing and 1st International Vice President of the Commission for Education and Employment and President of the Commission for Culture, Education and Employment Austria Maria Graff (below right). The Austrian ambassadress Mag. Doris Danler from the Austrian Embassy Tallinn organized for this special anniversary an extraordinarily Gala-Concert with Music from Vienna. 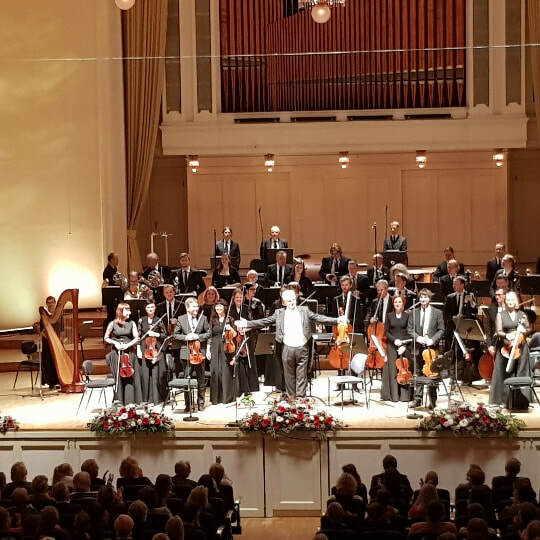 The concertmaster of the Vienna Philharmonic Orchestra Rainer Honeck (see below middle) and the Chamber Orchestra Tallinn played Mozart, Strauss and Beethoven in the sold out Estonian Concert Hall with a following reception in the Blue Hall with special guests. We, in Austria, firmly believe, that integration of migrants and migration more generally constitute one of our greatest challenges in the present and will remain crucial areas of policy for generations to come. And we believe, that it is of utmost importance that we approach these topics in a calm and collected way, with lots of patience and without exploiting people's emotions or promoting a politics of fear. In 2014, migrant integration and migration have challenged our countries to our limits, but we Austrians from the EUW would like to draw attention to the fact, that Austria has a long history of dealing with migration. We still vividly remember the images of a mass influx of Hungarian refugees in 1956. In 1968, 14,000 people from former Czechoslovakia came to Austria, 2,000 of them stayed and built a life in their new home named Austria. We know, that these numbers are much lower than the influx of refugees we are facing since 2014. In the 1990's, 90,000 Bosnians and 13,000 Croatians fled to Austria, 60,000 of them stayed. Nonetheless, Austrian society did not collapse, and nowadays many of them are our neighbors, our family, our friends. 2014 may seem like a period of mass migration akin to ancient times when entire peoples set out to leave their homeland. Yet no one can deny our duty as humans to take in and take care of people whose lives are in danger if they stay where they are. These are the people we talk about. In 2015, 90,000 people applied for asylum in Austria. 19,000 received a positive ruling allowing them to stay. In 2016, Austrian courts approved 26,500 applications for asylum. I believe, that we have a duty to create an environment for the many legal refugees in our countries, that gives them a chance to become integrated in their local communities. This is important because it prevents parallel communities and furthers mutual trust and quality of life for all involved. Even though Austria is a small country with about 8 million inhabitants, we have an exorbitant amount of volunteers and non-governmental organizations that help achieve the colossal task of integrating over 45,000 people. In terms of economic value, Austrian volunteer work amounts to € 13 billion. Without our volunteers and NGOs this task would become insurmountable. Through the founding of the Austrian integration fund we finally have a dedicated organization that supports all refugees in Austria. 200 employees advise anyone who receives legal asylum in Austria. Additionally, recipients of asylum are required to attend German courses and courses communicating Austrian values and culture. All of these services are available free of charge. Language and culture are important requirements for successful integration and guaranteed by Austria's integration act which became law on June 8, 2017. Since our association, the European Union of Women, has put special emphasis on migration policy, our Austrian chapter has decided to find positive examples of successful integration projects. Austria is one of the countries that has taken in the most refugees in Europe, and I can assure you that this was not to our detriment, but will turn out to be a great cultural asset in the future. The EUW Commission of Culture, Education and Employment in Austria aimed at finding projects that promoted sustainable integration of women migrants into Austrian society. We devised a questionnaire, which Austria's nine provincial governments forwarded to non-profit organizations and private persons working on integration projects. The response was overwhelming and very surprising for such a specifically defined class of projects. From a total of nearly 40 submissions a jury of experts selected three non-profit projects that made a substantial impact for the integration of women migrants in Austria. Without skill-based preselection, young women with refugee status receive free football training. The vast majority of participants are muslim women aged 14-25. 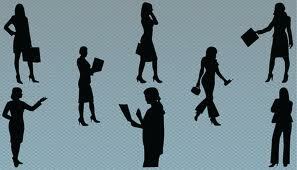 Currently, the project is managed by 10 volunteer women, two of which are refugees themselves. The association has many governmental and NGO partners and achieves substantial advances in the areas of personal development, physical health, social integration, teambuilding and gender equality. Ms. Stefanie Wagner teaches refugee women traditional Austrian crafts such as crochet, knitting and sowing. All courses are taught in German and important topics such as money, health, living in Austria, education, and culture are discussed, giving participants a chance to talk about things that are important to them while practicing their German skills. Children are welcome to attend as well. Ms. Wagner rented a seperate appartment to hold her courses and pays for all supplies out of her own pocket. The effect on the women's self esteem after only a few sessions is undeniable. The non-profit association "Migrare" offers a special 7 month training for migrants, teaching them how to be neighbors. Isolated families receive support integrating in their local communities. Neighbors meet people and strengthen community bonds. Migrants' communication skills as well as their local sense of community profit immensely from this program. It is important to state here that all 40 submissions were excellent examples of successful integration projects and that the decision was extremely difficult. Simply drawing attention to the issue and sending out questionnaires through official channels has had a positive effect for these projects and the people they aim to help. We would also like to thank the artist Prof. Mag. Hubert J. Flörl for designing the award and the Erste Bank Group for sponsoring the € 5,000 prize. There was extensive positive media coverage of the award ceremony in the Austrian Parliament, and we sincerely hope, that this award will inspire other national EUW chapters to take on similar projects in the future. ​Am 12. 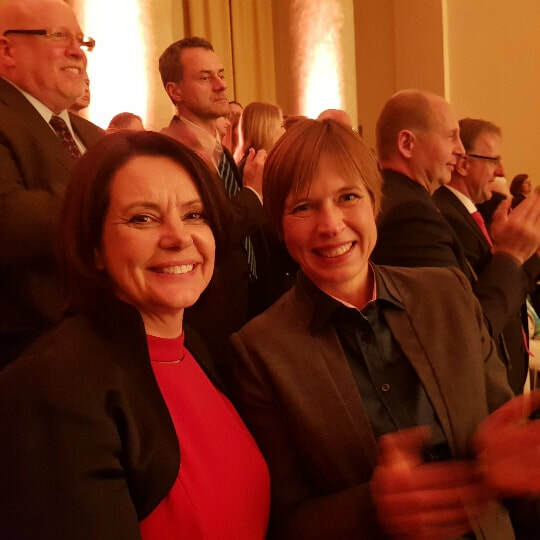 April besuchten Bundesministerin aD Dr. Sonja Stiegelbauer (Bild Mitte), Präsidentin der österreichischen Sektion der European Union of Women (EUW) mit ihrem Gatten sowie die Präsidentin der griechischen Sektion der EUW, Aphrodite Bletas (links im Foto) Botschafterin Andrea Ikic-Böhm. Die EUW ist eine österreichische Gründung aus dem Jahre 1953, als eine österreichische Abgeordnete, Dr. Lola Solar, diese Vereinigung in Salzburg ins Leben rief, um Frieden und wirtschaftliches Wachstum in Europa in freundschaftlicher Beziehung in einem Frauennetzwerk voranzutreiben. Derzeit gehören der EUW 17 Nationen an. Die EUWhat Beraterstatus beim Europarat und Sonderberaterstatus beim Wirtschafts- und Sozialrat der Vereinten Nationen (ECOSOC).